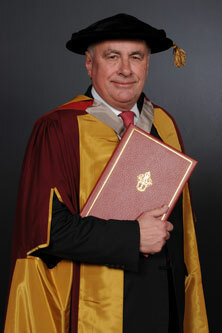 Lord Currie of Marylebone was given an Award of Doctor of Science honoris causa by City in 2012. Lord Currie was the founding Chairman of Ofcom - The Office of Communications. Ofcom is the government-approved regulatory authority for the United Kingdom's broadcasting, telecommunications and postal industries. Lord Currie is Chairman of the International Centre for Financial Regulation, Semperian PPP Investment Partners Holdings Ltd and Chairman of the University of Essex Council and the Alacrity Foundation. He is a Board member of the Dubai Financial Services Authority, the Royal Mail, BDO, IG Group and the London Philharmonic Orchestra. He was the founding Chairman of Ofcom. Born in South London, Lord Currie was educated at The University of Manchester (Mathematics) and The University of Birmingham (National Economic Planning), leading to his first job as an economist with Hoare Govett. He moved into academia in 1972, as Lecturer at Queen Mary College, University of London, progressing rapidly to Professor of Economics. Lord Currie was Professor of Economics, then Deputy Dean for External Relations at the London Business School from 1988. He was awarded his peerage in 1996, having been an independent forecaster for the Treasury (from 1992). 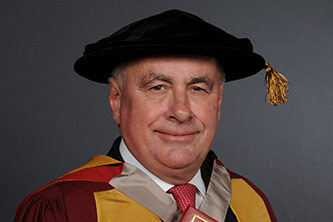 Lord Currie was appointed Dean of the City University Business School in 2001, overseeing the transformation of the School which began in 2002 when it became Cass Business School.